If you suffer from super oily, acne prone skin like me and/or have always wanted to try teeth whitening then this post is for you! #Teamoilyskin and #TeamIwantwhiteteeth unite! The purpose of this blog post is to show you the things that have been working for me, skinwise and teethwise. 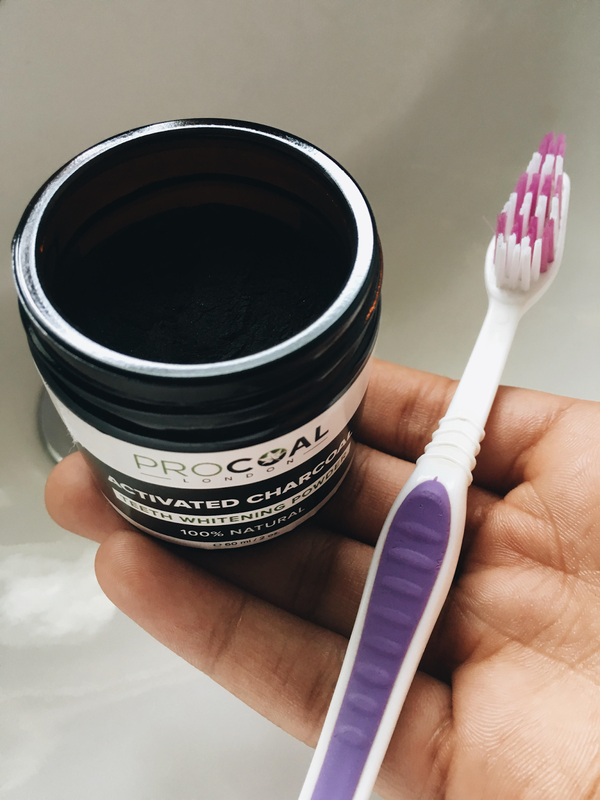 As some of you may know I have used a teeth whitening kit before but, that teeth whitening kit has nothing on the procoal activated charcoal teeth whitening powder! If you are looking for a more effective, cheaper, hassle free alternative to teeth whitening kit, I would 10/10 times recommend this! 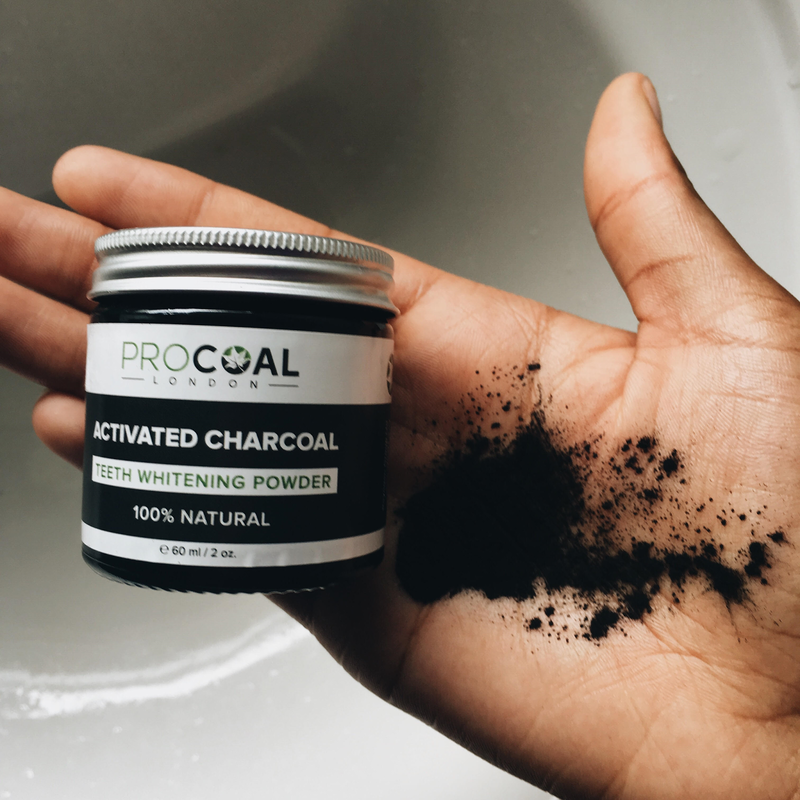 This product is meant to and does - "Removes stains and discolouration from the surface of your teeth to significantly whiten and brighten your smile." The powder doesn't contain synthetic additives, preservatives, artificial colours or flavours. It's 100% natural and vegan! Also, one of the best things is that it contains anti-bacterial and anti-fungal qualities that are excellent for oral health! Did I mention how easy to use it is? All you have to do is take a toothbrush, pour some of the powder into your hand or even dip your toothbrush (wet) into the pot and then brush your teeth for at least 2 minutes. It has no weird taste or texture either, bonus! Plus it is highly entertaining, during every use I sit smiling in the mirror like a loon for at least 5 minutes because its not everyday your whole mouth turns black. After brushing your teeth all you have to do is rinse it out like you normally would do after brushing your teeth with toothpaste. Within 2 days of using, I was seeing changes in the colour of my teeth! 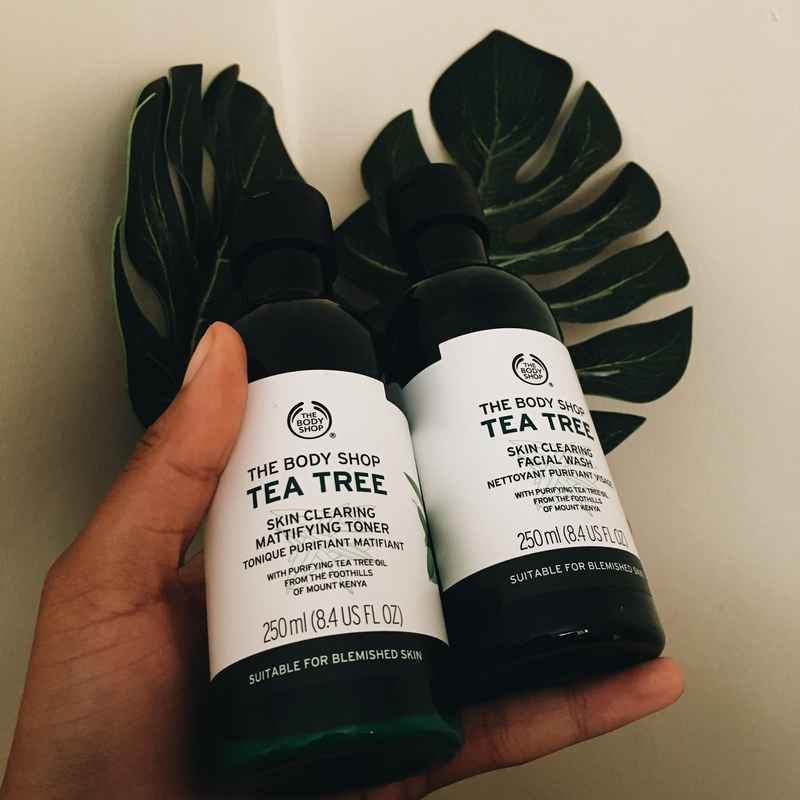 I have possibly, the oiliest skin known to man and summer is when my skin is at it's worst so I decided to try the Body Shop's tea tree range because I had seen quite a few reviews on it. I got the: Tea Tree anti-imperfection daily solution, Tea Tree skin clearing mattifying toner and Tea Tree skin clearing facial wash. 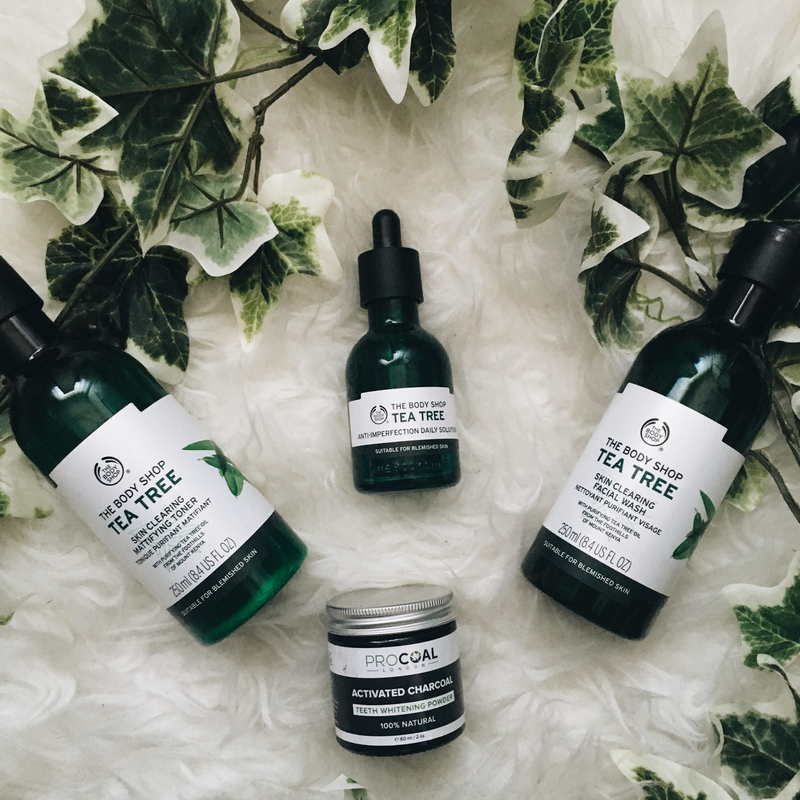 Tea tree is meant to help with acne prone and oily skin as it targets blemishes, mattify the skin and remove impurtities. I've been using these products for a month and I've gone from you could fry an egg on my forehead to I need the occasional blotting sheet. So I'm not completely there yet but these products have definitely made a world of a difference! I start off with the facial wash followed by taking a cotton pad and using the toner to remove the last of the dirt. Lastly I use the daily solution with a dollop of cucumber facial cream to moisturise my skin as tea tree can be drying. Hope this helps you guys as much as these products have helped me!